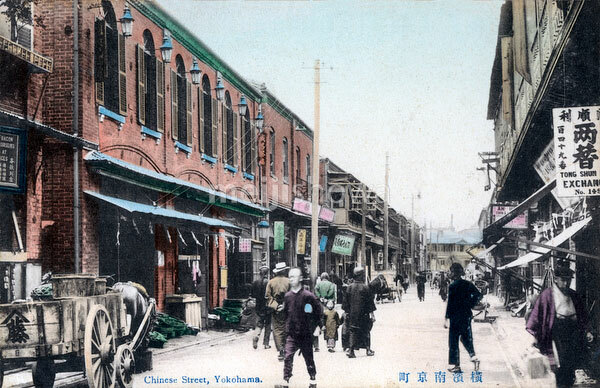 A Chinese street in the foreign settlement of Yokohama. After Yokohama was opened for trade in 1859, many Chinese immigrants arrived and started a community that would grow very large. It has been called Yokohama Chukagai (Yokohama Chinatown) since 1955 (Showa 30).